Protein shakes can get old after a while, so you may be looking to add protein to other recipes to get your extra fix. You can add protein powder to virtually anything: baked goods, oatmeal, smoothies, pudding, pancakes, and even your ice cream or coffee drinks. But while protein powder does mix well into certain recipes, when it goes wrong, it goes really wrong. Here are the do's and don'ts of cooking with protein powder so you don't waste a single scoop. DO use whey protein for baking. It will provide the best consistency. DON’T use casein protein for baking – it will dry everything out. DON’T ever use a batter made primarily of protein powder, especially when making pancakes or baking. If your batter is over 1/2 protein powder, your finished product will be dry and rubbery. DO opt for basic flavors unless the protein is the only flavoring. Most brands react the same, so no worries there, but you may find you prefer the taste of a certain brand. Vanilla or natural will blend seamlessly into most recipes, including bars and fruit smoothies, while chocolate obviously goes great with anything chocolate. Peanut butter is about as fancy as we recommend going, especially in baking where there are so many other flavors, they may end up competing. DO know your scoop size. 1 scoop of protein is usually 1/3 cup, which will provide 20-24 g protein. DO use extra liquid or oil when adding protein powder to your regular recipes and adjust your baking times to be slightly shorter. Success! You have been subscribed! Error in form submission. Please try again. SUBSCRIBE TO NEWSLETTERGet our 7 Day Head Start E-book for FREE! Get our 7 Day Head Start E-Book for FREE! It seems that your browser is little outdated, and may not be compatible with our website. For us to serve you a better experience with our awesome website, please download one of the below browser. Please click here to chat with one of our customer service representatives who will validate, process, and approve your order at the discounted rate! * If you are shipping your order to an APO/FPO/DPO address, an active duty military serviceperson, or veteran, you qualify for a discount. 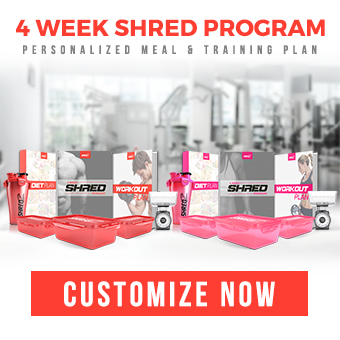 Please enter the email address associated with your SHREDZ account. Please follow the instructions on your email to set up a new password. 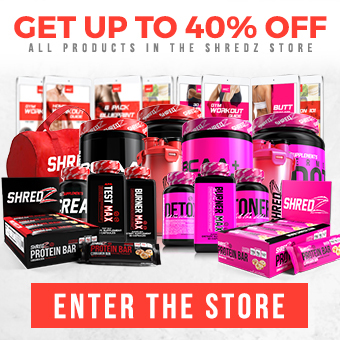 If you no longer use the e-mail address associated with your SHREDZ account, you may contact our Customer Support for help restoring access to your account.